When it comes time to dig up that old photograph you’re looking for, there are about 10 places it could be. How do you go about organizing the snapshots of your life? For the belongings that can’t be replaced, it’s best to keep them organized when you need that family photo many years ago, or you’re feeling nostalgic and want to relive some of your favorite moments. Check out these 5 steps of photo organization to make your life easier. The first step in your photo organization project is to gather all your photos together. That’s right — all the photos sitting in albums on your bookshelves, in boxes in the basement, and those pictures on your phone of friends and family (and of that meal you had to put on Instagram). That may seem like a lot of pictures, but it’ll make the process easier. Besides, it’s fun to take a trip down memory lane as you relive some of the highlights of your life and others’ lives. Hairstyles and clothing say a lot about a person — or a decade. When you see a photo of a relative in big glasses and a loud shirt, you might easily be able to tell where and when the photo was taken. But that’s not always the case. Some find it best to organize photos by time, but another method is to sort them by events, such as birthdays, Christmas, trips and other events. Choose the method you like best, but try and stick to one or the other for photo organization. Album worthy: These are the photos that you hold close to your heart, or the ones that make you giggle as you wonder what the subject is thinking as the photograph was snapped. Maybe they don’t all bring back strong emotions, but this is the time to separate the photos you want displayed in your albums. Box Storage: These are the photos you can’t bear to part with, but don’t need to seen all the time. They’re perfectly fine being stored in a box. You can find them if you need them. Garbage Can: These are the photos of the backs of heads, the accidental shot of the ground, or one of the many duplicates you simply don’t need. Sort through your cluttered photo collection and toss the ones you don’t need. Once you determine what’s worthy of keeping in your collection, scan them to your computer or back them up so you know you have them in case of a disaster. 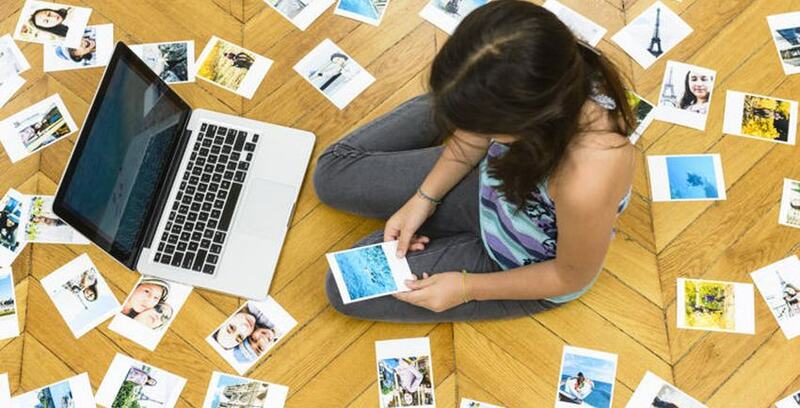 If you have a large digital collection of photos, you can sort them into categories just like you did with physical copies, but be sure to back them up. Photographs can’t be replaced. Now it’s time to place the photos where they belong. Invest in quality, acid-free photo album to properly store your photos. If you’re using boxes, be sure they’re water resistant and sturdy enough to protect your photos. The more photographs you have, the more space they take up. If you’re short on space to store photographs, Storage Direct can help. Our climate controlled units will help ensure your pictures are kept safe in one of our secure facilities. Contact us today to find a location near you!